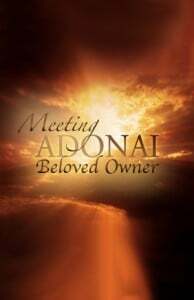 When Gideon called the Lord ‘Yah Veh Adonai,’ his destiny began. Only then was his calling announced: The Lord looked at him and said, “Go in this your strength and deliver Israel from the hand of Midian. Have I not sent you?” (vs 14). So began Gideon’s great adventure, his amazing story and his eternal significance. Not to mention the salvation of his nation, Israel! Such is the journey of every person who will respond to God by accepting Him truly as Absolute Commander. Not to mention the salvation of his nation!